On Saturday, September 8, 2018---twenty-three parks departments across the United States hosted National Accept the Challenge Day at their local park to compete on the GameTime Challenge Course. The parks were alive with fun activities, snacks and locals meeting, competing and repeating the GT Challenge Course timed obstacles. Cunningham Recreation was proud to have five of their local customers participating in the event and having three of them winning. Cunningham Recreation territory participants: Meineke Recreation Center - Schaumburg, IL, Bremen Heights Park - Midlothian, IL, Summer Lakes Park - Warrenville, IL, The Rail Yard - Spartanburg, SC, and Graham Regional Park - Graham, NC. 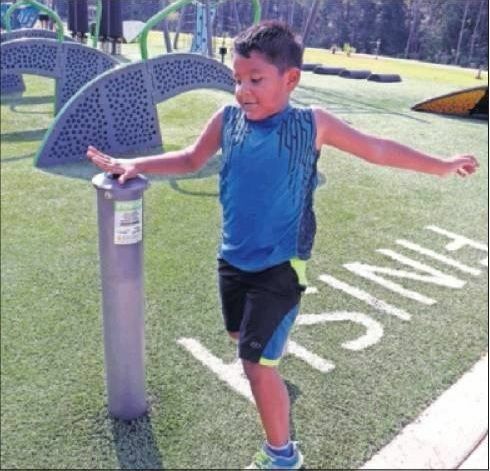 GameTime and parks and recreation departments partnered to organize this inaugural event across the United States bringing communities together and encouraging people of all ages to stay fit and play together. GameTime challenged each community to get people of all ages out to their local parks to meet and compete at Challenge Courses. Exciting challenges (think Ninja Warrior) that make fitness fun. Challenge Course is manufactured by GameTime and has an interactive mobile app that allows you to compete with other people, communities and groups. The goal of Challenge Course is to provide a social fitness destination that creates opportunities for fun, physical activity for people of all generations and fitness levels. Congratulations to The Rail Yard in Spartanburg, SC for earning the highest downloads of the Challenge Course Mobile app. You are the Download Dominator! Congratulations to Graham Regional park in Graham, NC on earning the most social shares on the National Accept the Challenge Day. You are the Monarch of the social butterflies. And our final congratulations go to Bremen Heights in Midlothian, IL for earning the most log times and competitors using the Challenge Course Mobile app. You really know how to Rally the Troops!